Robert Frost is one of the most famous poets of the twentieth century. Although he was extremely successful as a poet, his personal life was marred by tragedies. Know about the life and accomplishments of the unofficial “poet laureate” of the United States through these 10 interesting facts. 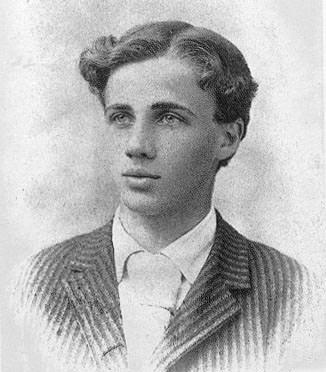 Robert Frost’s father William Prescott Frost, Jr. initially worked as a teacher and he married another teacher, Isabelle Moodie, a Scotswoman. The couple moved to San Francisco, California where William Frost became a journalist. On March 26, 1874, their first child was born whom they named Robert Lee Frost after the famous General of the Confederate Army, Robert E. Lee. Robert’s father died due to tuberculosis when Robert was just 11 years old. After his father’s death, Robert, along with his mother and sister Jeanie, moved to his grandparent’s house in Lawrence, Massachusetts. Robert studied at Lawrence High School. His classmate here was Elinor White, who would later become his wife. Robert was an excellent student and graduated as valedictorian and class poet in 1892. His fellow valedictorian was Elinor White. In 1894, Frost sold his first poem “My Butterfly. An Elegy”, to the New York Independent, for $15 ($409 today). Elated, he proposed marriage to Elinor White but she refused as she wanted to finish college first. Frost thought he had lost her and went on an excursion to the Great Dismal Swamp in Virginia. He even contemplated suicide. When he returned from his trip, he asked Elinor again. Having graduated, she agreed this time. 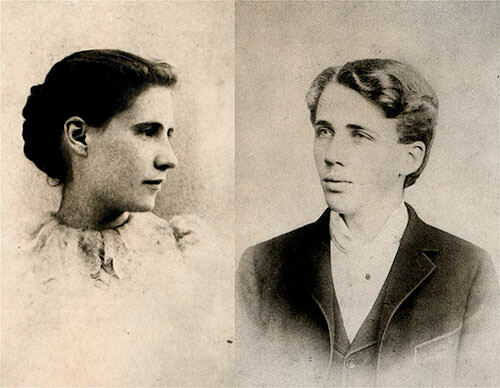 They married on December 19, 1895. Frost’s grandfather purchased a farm for Frost and his wife. Frost worked in it for nine years but was unsuccessful at farming. He then worked as English teacher from 1906 to 1911. All through this time Frost was finding it difficult to get his poems published. Hence in 1912, Robert and Elinor decided to move to England as they believed that publishers there would be more willing to take a chance on a new poet. In 1913, Frost’s first book of poems, A Boy’s Will, was published by British publisher David Nutt. The following year Nutt also published another poetry collection by Frost titled North of Boston. Due to the onset of World War I, the Frosts returned to America. North of Boston had become a bestseller and Frost was acclaimed by critics and well received by the publishing world. Publishers like Atlantic Monthly who had previously rejected Frost’s work, now came calling. Frost famously sent Atlantic Monthly the same poems that they had turned down before he went to England. 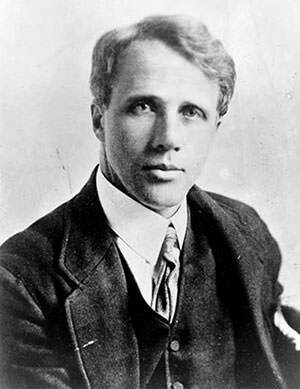 In 1924, Robert Frost won the Pulitzer Prize for his book New Hampshire: A Poem with Notes and Grace Notes. He went on to win three more Pulitzers; for Collected Poems in 1931, A Further Range in 1937, and A Witness Tree in 1943. He remains the only poet and one of only four persons who have won four Pulitzer Prizes. 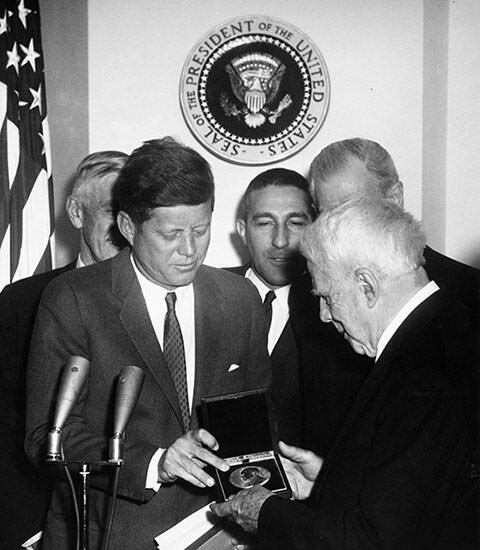 In 1960, Frost was awarded with the highest civilian award, United States Congressional Gold Medal, “In recognition of his poetry which enabled the culture of the United States and the philosophy of the world”. Frost’s father died of tuberculosis when Frost was 11 and his mother died of cancer when he was 26. 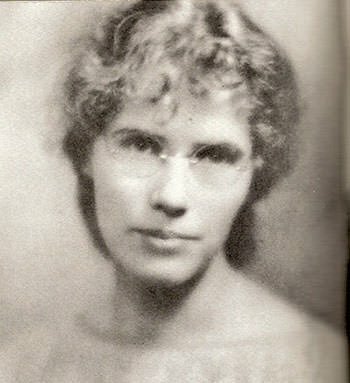 In 1920, his younger sister was admitted to a mental hospital where she died 9 years later. His wife Elinor developed breast cancer in 1937 and died of heart failure in 1938. Frost had six kids with Elinor but only two of them outlived their father. One died just three days after birth, one died of cholera at the age of 8, one died at the age of 29 due to puerperal fever after childbirth and one committed suicide at the age of 38. Also mental illness ran in the Frost family with his wife, his sister, his daughter Irma and Robert himself suffering bouts of depression. At the age of 86, Frost was asked to write and recite a poem for President John F. Kennedy’s inauguration. 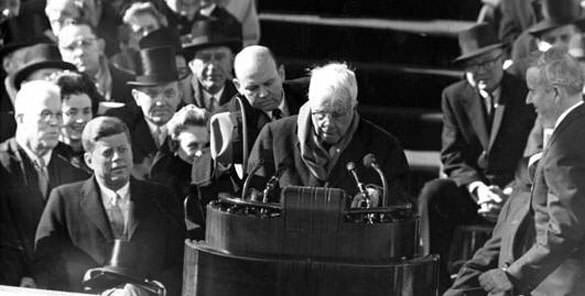 On January 20, 1961, at the inauguration, Frost could not read the words due to the blur of the sun and his failing eyesight. Undaunted, Frost put aside the new poem and instead recited his famous poem “The Gift Outright”, which he had committed to memory. This was the first time a poet had honored a presidential inauguration. On January 29, 1963, Robert Frost died in Boston due to complications from prostate surgery. He was buried at the Old Bennington Cemetery in Bennington, Vermont. The epitaph engraved on his tomb is the last line from his poem “The Lesson for Today (1942).” It reads: “I had a lover’s quarrel with the world.” Frost remains one of America’s leading literary figures and among the most popular and critically acclaimed poets of the twentieth century. Robert Frost is known for realistically depicting rural life and for his command over American colloquial speech. Many of his poems are set in rural New England. Frost is also famous for his knowledge of human behavior and he used it to explore complex social and philosophical themes in his poems. “The Road Not Taken” is perhaps his most famous work. Other popular poems by him include “Stopping by the Woods on a Snowy Evening”, “Mending Wall” and “Acquainted with the Night”. Thanks for the facts about robert frost! they were amazing and really helped me!